NEW Blue Mountain Beach 4BD/3BA Home Along Scenic Hwy 30A ~ Pool & Beach Access! Charming Camp Creek Cottage with Easy Beach Access! Pool &Hot tub, Along Hwy 30A! 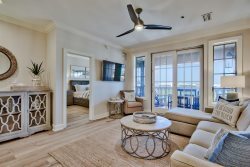 Sea Esta at Watersound West Beach~A Relaxing Escape for the Whole Family!